CardViews – Page 3 – Best Credit Card Deals, Bonuses, & Promotions! First American Bank is offering residents of Illinois an opportunity to earn a $50 cash bonus. If you are a student in college, I recommend opening a Student Checking Account because not only will you be able to earn the bonus, but it is also an account specifically designed for young adult. First American Bank’s student program allows students to get more out of their money. Spending money is difficult in college, but First American Bank can help. Now, Once you open the account, you need to make 10 deposits or withdraws that’s all you need to acquire the bonus! 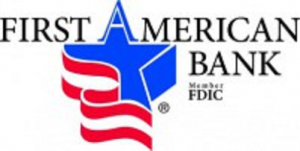 Hurry in and open a account with First American Bank to receive much more benefits! Also, you can earn a $250 Bonus with Chase Total Checking + Savings! Open an First American Bank account. Monthly Fee: Monthly Fees of $7.95 until age 23. $50 bonus cannot be used as opening deposit. 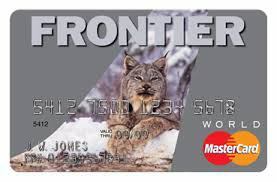 Available to all MasterCard® debit card users with the exception of Health Savings Account customers. Look for the Allpoint and Presto! logos to ensure your transaction will be surcharge-free. For residents of Illinois, I highly recommend opening a First American Student Bank Account to earn a $50 bonus when you successfully fulfill the 10 deposit requirements. I would also recommend avoiding cancellation of account prior to 6 month activation so you don’t experience any $50 termination fee or claw-back. Overall, this is an easy bonus of $50 into your checking.For more banking deals, don’t forget to check our complete list of Bank Bonuses!